Visitors to Phi Phi Island mostly get around on foot, other than when they have a longer distance to travel and then they will generally take a longtail boat from one beach to another beach and then complete their travel by foot. It is pretty easy to get around Phi Phi Island, the tiny island has paths where you can easily walk anywhere you need to go unless you choose to go to a further away beach or town and than you will want the boat. If you are getting a bicycle remember to be respectful of people walking. The Thai culture is very respectful and non-confrontational so you will want to make sure you are acting appropriately especially if you are on a bicycle and most others are walking. It can be a unique experience while on holiday in Phi Phi Island to hire a bicycle for the day. You can enjoy this tropical paradise as you whisk around and feel the sea air in your face and enjoy all the sites and sounds of this great holiday destination. There are things to do for the entire family or it is a perfect place to go alone to recharge the batteries or to go with someone special and enjoy a romantic getaway. You can get Phi Phi Island bicycles to help you find a special little place on the island for just the two of you or perhaps just some peace and quiet for yourself. The native people are very accommodating and will help you any way that they can. The friendly and eager to please people on the island add to an already incredible holiday on this island paradise. 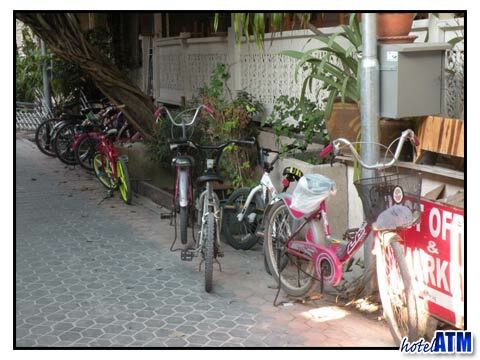 The cost to hire a bicycle is relatively inexpensive as are most things when you are on holiday in Phi Phi Island. Holiday travelers often marvel at the affordability of a destination like Phi Phi Island.